Clearly, the next big battlefield for tech gamesmanship between Apple and Google will be augmented reality. While the announcement of the new iPhones by Apple may have underwhelmed in the AR department, they did highlight their new ARCore platform and Core ML image recognition system and introduced their animated AR emoji, or Animoji. Google did not have the same AR expectations as Apple for their official unveiling of the next-generation of Pixel smartphones. Nonetheless, they took the opportunity to introduce AR features of their own. Google product executive Aparna Chennapragada took the stage not only to talk about the latest advancements with Google Lens and ARCore but also to introduce AR Stickers that will debut on the Pixel 2. 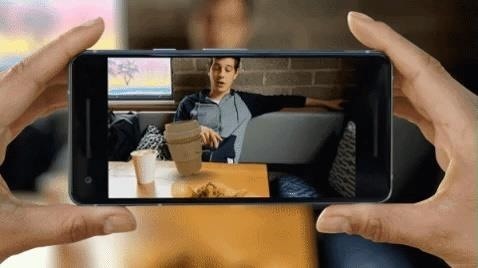 With AR Stickers, Google opts to emulate Snapchat's World Lens feature, as opposed to Apple's take on the social app's photo filters with Animoji. Using their camera, Pixel users will be able to place AR animations into the photos and videos they take. Google takes the concept a step further, as the AR Stickers react to their environment. Users can also place multiple stickers into the same scene, and the stickers will interact with each other. In addition to "playful emojis," Google will offer theme packs from content partners Stranger Things, Star Wars: The Last Jedi, Saturday Night Live, and the National Basketball Association. Google Lens, introduced at the I/O developers conference earlier this year, harness Google's AI and computer vision prowess into a visual search function that will debut as an exclusive preview for the Pixel before rolling out to other services, such as Google Photos and Google Assistant. Apple, meanwhile, will offer similar functionality through Core ML, which is part of the iOS 11 update. Of course, both Apple companies are also pushing their own AR platforms. Apple announced ARKit at WWDC in June, creating a considerable buzz around mobile AR. Not to be outdone, Google followed suit with ARCore, matching, if not surpassing, Apple's capabilities, though limiting their reach with availability only on Pixel and Samsung Galaxy S8 (for now). During their launch announcement for the iPhone, Apple showcased apps from MLB Advanced Media, Directive Games, and others running their ARKit platform. Likewise, Google highlighted examples of ARCore apps. 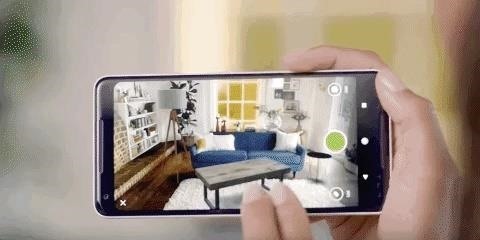 Just like its recent update on iOS supporting ARKit, Houzz running on ARCore enables users to place virtual furniture models in their home. 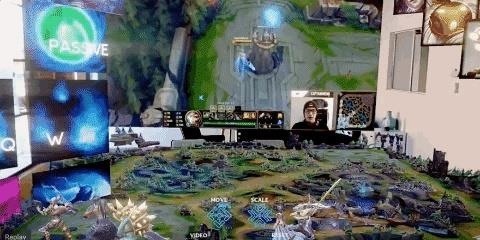 An app from Grab Games will enable an AR spectator mode for League of Legends. 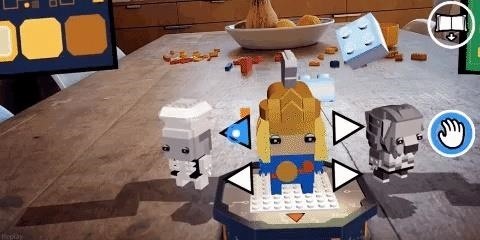 Lego, who was also featured in the original ARKit launch presentation, will give users the ability to build virtual models on their actual table. Between the AR platforms from Google and Apple lies an opportunity to entertain consumers for profit. "I think what is really going to fuel the market on both the supply and demand side is the introduction of user-generated content," said Lara Jeremko, strategic advisor at Techstars, in an interview with Next Reality. "The UGC can create massive opportunities in the coming years." As the saying goes, a rising tide lifts all boats. While the debate will rage on message boards over who is winning the game of mobile AR thrones, all that really matters is that the competition moves the ecosystem forward. That is something all AR enthusiasts can cheer for. The "Made by Google" is available below. 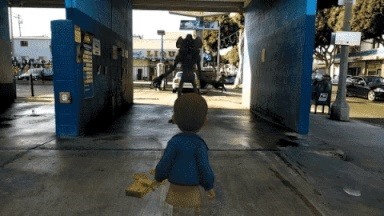 Fast-forward to 1:10:00 for the augmented reality portion.